How are http://www.LovingTheClassics.com" onclick="window.open(this.href);return false; and http://www.robertsvideos.com" onclick="window.open(this.href);return false; ? Both have copies of Take Me to Town available, but the former's price is $14.99 (though curiously the VHS is $19.95), the latter's $24.95. Wasn't familiar with that site, thanks. SHOCKMASTER wrote: Yes. Sci-fi films (and novels) are my thing - especially by master filmmakers. I am trying to compile a list of GREAT sci-fi films to track down. If anybody has any suggestions or recommendations please contact me via private message. I am now also looking for a bootleg copy or whatever of Konstantin Lopushansky's LETTERS FROM A DEAD MAN - it sounds incredible. It's probably either a bootleg or a port of the Russian DVD release (same cover) with (hopefully decent) English subtitles added over the top – either way, it seems to be about the only thing going right now. Anyway, I've purchased a copy with some hesitance, and will report back! Ugly Swans, Museum Visitor, and Letters from a Dead Man were all available on legit Russian PAL dvd years ago. My records -- I have a list with me, but I'm away from the physical discs for the next two weeks -- indicate that the Ugly Swans disc came with English subs, but that I (or parties even more unsavory) may have had to add them to the other two films. What I'd give for a decent DVD with English subtitles of Visitor of a Museum! Second Run, et al, are you listening!? Anthony Thorne wrote: Francesco Rosi's ILLUSTRIOUS CORPSES has turned up at a couple of UK bootleg sites, with subs added to a picture taken from the now OOP Italian DVD (the latter 16x9 and with a 5.1 mix). Sadly the subs are of just okay quality, a shame as SBS TV in Australia screened a properly subtitled version years ago and the translation they provided was exemplary. I'm hoping Criterion get to this eventually. A chap in Armenia(!) has promised to send me a copy of Rosi's THE MATTEI AFFAIR with subs. This is another I'd buy if it popped up properly. I did get hold of a subbed, 16x9 copy of Umberto Lenzi's KRIMINAL recently. With more obscure Eurocult titles like this I expect fansubbed editions to be a last port of call, with legit Region 1 or 2 releases looking increasingly unlikely. Actually, Movie Detective is loaded with hard to find foreign language films. The quality of about 90% is very good (all are DVD-R) and come in plastic slips, though some titles look like VHS masters. Whenever any titles gets proper release in the U.S. it is promptly removed from the site. Is my copy of The Treatment a bootleg? I just picked it up (sealed) from my local Half Price Books. The back of the disc looks a little odd; it's much darker than the other Blu-rays I have. Artsploitation Films is a boutique label, though, so their products could be made differently. Their first two Blu-Ray’s (Der Samurai & Horsehead) were BD-R’s. They subsequently rereleased them as pressed discs due to complaints, though never did a recall. They continued with this for a while, though more recently appear to’ve reverted to using BD-R’s for some, if not all of their titles. Artsploitation wrote: PLEASE NOTE: The Blu-ray release of THE TREATMENT is duplicated rather than replicated and limited to 500 copies. Due to customer demand we will be replicating future Blu-ray releases. I’d get in touch, see if you can’t get a replacement. Thanks. I figured it could be something like that, but it's nice to have confirmation. Are BD-Rs of particularly bad quality? Or are they more susceptible to disc rot? Thanks for your help, Domino and Adam. 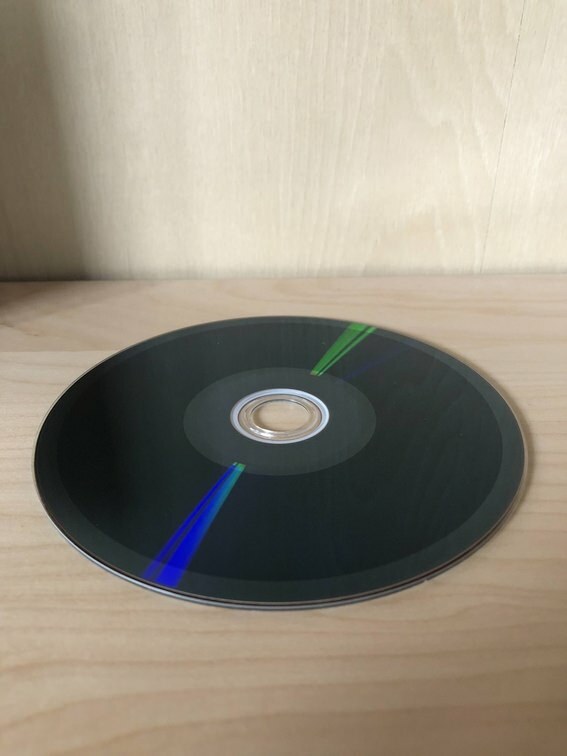 I reached out to Artsploitation and eventually shipped The Treatment for a replacement disc... but there was never a "duplicated" Blu-ray, only a "replicated" one. Ray from Artsploitation Films wrote: Well, after going through records of a few years ago it seems that the guy here who placed the order placed a REPLICTED instead of DUPLICATED. So all this time all the Blu-rays were just REPLICATED. ...So he's just going to send it back to me. But I can pick two titles as collateral for all the trouble, so it's a success in my books.